Howard & Bernadette's Google Earth Wedding has got to be one of the GEEKIEST yet most CREATIVELY REBELLIOUS wedding ideas -- EVER! I LOVE The Big Bang Theory! But I never imagined it would be the type of show that would actually be a source for such a rebellious, geeky, ingenious, extraordinary, and beyond heartwarming wedding I have seen on TV. For those of you guys who aren't familiar with the show and the recent storyline, Howard is set to go to space. 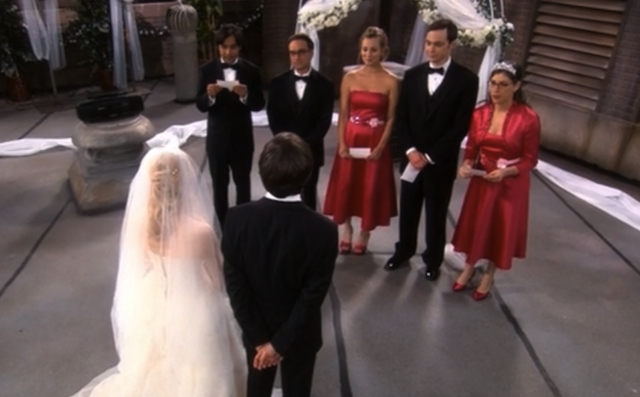 The schedule was going to conflict with his wedding to Bernadette so they wanted to get married before Howard leaves. Even if it was going to be a rushed wedding, they still wanted it to be special. In true geeky fashion, they end up having the wedding on a roof top so that Google Earth's satellite will be able to capture the wedding when it passes through Pasadena. To make it even more meaningful, all their best friends got ordained before the wedding and each and everyone of them were able to officiate and perform ceremonial speeches. What a really wonderful idea!!! We have 2 videos for you guys to enjoy. 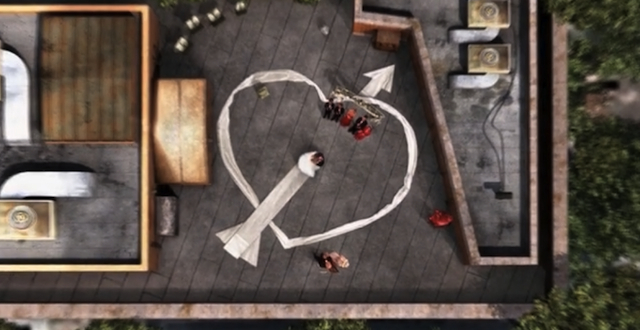 The first video is the scene of the actual wedding, while the second video is the last scene of the finale which actually got me a little teary-eyed. So google earth satellite caught an image of Howard's mother standing with Bernadette's father?